08 | November | 2017 | A balanced diet . . . I own an Android smart phone. It’s a Doogee. Nothing remarkable about that, you might say. Certainly not. However, I’ve had a smart phone only since May 2016. Before that I used a basic Nokia that allowed me to make calls and send SMS messages. While I was recovering from my accident in January that same year, I’d thought more about the advantages of having a smart phone, and decided to invest in one that wasn’t too expensive. I have a SIM-only plan with Talk Mobile that gives me a respectable number of text messages and calls to other phones on a monthly basis. To be honest, I rarely use my phone, mainly to keep in touch with family by text message, or some social media use, and occasionally phone calls. However, it seems that almost anything you want to do these days, places to go, assumes you have access to a smart phone. I also find it reassuring to have a mobile phone in my pocket when we travel, in case of emergency. But, and it’s a very big but, I could never see myself spending upwards of £1200 here in the UK on an iPhone X, for example, or any other model approaching that cost, never mind how great these gadgets are, much as I wouldn’t say No if someone gifted me one. We take our phones for granted. No doubt. They have become indispensable. They have more computing power than took us to the Moon 48 years ago. But the history of mobile phones stretches back not much more than than 30-35 years in reality. During the 1980s, in my home town of Bromsgrove, local Anglican priest, the Rev. John Eley of All Saints was often seen using his ‘mobile’ phone in the High Street. 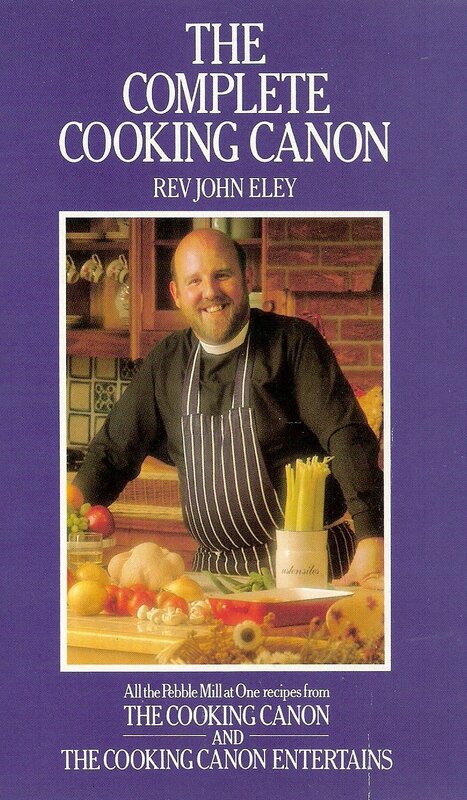 Known as The Cooking Canon, the Rev. Eley was a regular on the BBC show Pebble Mill at One, demonstrating his culinary skills, always wearing his dog collar. So, having a mobile phone—rudimentary as the technology was then—must have been quite important for him to be able to keep in contact for the ‘show business’ side of his life. I use the word ‘mobile’ advisedly. It was more like a brick that he carried around, rather like the model (but not the same) illustrated below. Heaven knows how much it weighed, a couple of pounds at least. So much for mobile, and keeping in touch, on the go (but slowly). This phone, a Nokia, is not the one he used as far as I can recall, but it’s of the same sort of dimensions as that he used to haul around. How far we have come, and how much we take mobile telephony for granted. Just a few taps of the screen and you can be talking to anyone on the other side of the world. But of course it wasn’t always like that. For many decades after the invention of the telephone, an operator had to connect the call. Direct dialling by the customer, or Subscriber Trunk Dialling (STD), didn’t come to my home town of Leek in North Staffordshire until August 1968. And my Dad, Fred Jackson, had something to do with its first use. We moved to Leek in 1956 from Congleton in Cheshire, about 12 miles away. 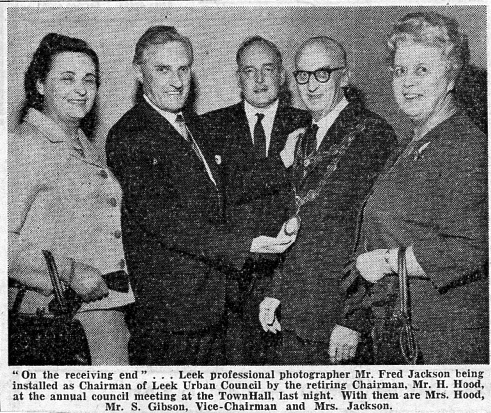 In Congleton, Dad had been elected a member of the borough council in the early 1950s, but once we’d been settled in Leek for a few years, he sought election to Leek Urban District Council (LUDC, subsumed many years ago into the larger Staffordshire Moorlands District Council) in 1960, as an Independent. He couldn’t abide party politics in local government (Conservative or Labour, or whatever) that have unfortunately became the norm today. 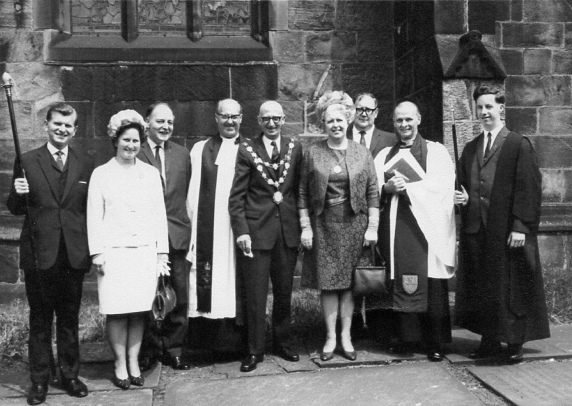 By 1968, he’d moved to the top of the councillors’ roster, so to speak, and was elected Chairman of the LUDC. Then, a few weeks later there was a special ceremony, Chairman’s Sunday, when the installation of the new chairman was celebrated in the town. 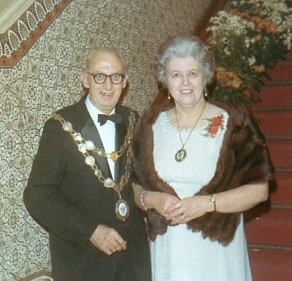 A council chair has to fulfil many ceremonial functions during his/her year of office, and among those that fell to my Dad was making the first STD phone call from the new Leek exchange on Thursday 22 August 1968. My elder brother Ed had married his first wife Christine in Brighton just a few days earlier, and they were preparing to depart the UK for a new life in Canada, where Ed was to start graduate studies in the Department of Geography at the University of Calgary, Alberta. Who better to make the call to. Just yesterday I came across the original program for the opening of the new exchange. It’s interesting to note that my Dad had written the Brighton number to be dialled in his copy of the program, in case he forgot. 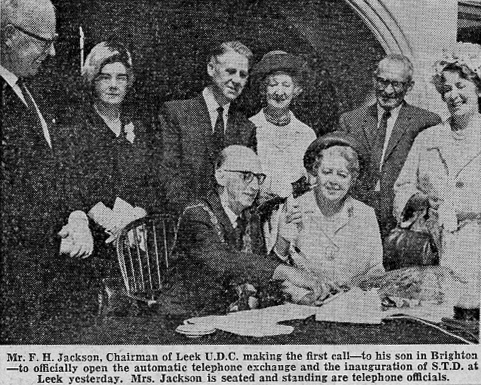 Just click on the image below to open a full copy of the program, read about the history of the telephone in Leek since 1892, and why a new STD exchange was needed. Also there are newspaper clippings about the background to the new telephone exchange, and that first call. My Dad also told me although the call had been pre-arranged with my brother, Ed let it ring five or six times before picking up the receiver, leaving those at the Leek end somewhat concerned that maybe there was no-one home. Who would think that making a phone call before STD was so labour-intensive? But what to me are even more amazing are the recent innovations that allow you to phone ‘on the go’, almost anywhere. Who would have predicted how our lives would be revolutionised by this technology, or even dominated by it? Such a lot of progress in 50 years, and over the past 15-20 years in particular. You have to be connected.